Van couver’s cherry trees are bursting their buds this month and Stanley Park is one of the best sites in the city to catch the show! 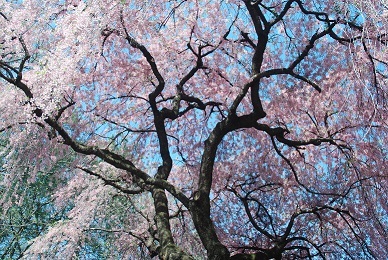 To help you celebrate this colourful annual event, we are providing a list of the Park’s various cherry tree species and where to find them – courtesy of Bill Stephen, Vancouver Park Board arborist. Be sure to visit Stanley Park before the blossoms drop at the end of this month, and while you’re here, enjoy the Park’s other pink beauties: native salmonberry and flowering red currant. Of the ornamental cherry trees, there is a plethora of Prunus x yedoensis ‘Akebono’ at the main entrance off Georgia St., and in the grove down below the rose garden. There were some Prunus ‘Snow Goose’ planted in rows a few years ago through Ceperley Meadow between Lost Lagoon and Second Beach, and down toward the Lumberman’s Arch concession stand. Rare green flowered Prunus ‘Gyoiko’ are on the north side of the Pitch ‘n Putt golf course. There are two Prunus sargentii ‘Rancho’ trees – tall upright and pink in flower – between the Stanley Park Dining Pavilion and Malkin Bowl. The Prunus ‘Shirotae’ form a double row down to the Japanese War Memorial where there is an old Prunus ‘Ojochin’ cherry tree (rare, ungrafted). Look for Prunus ‘Ichiyo’ near Stanley Park in the lane between Barclay St. and Nelson St., east of Cardero St.
A number of wild cherry trees spring up throughout the Stanley Park forest: Prunus emarginata and Prunus serotina mostly. Bill notes that he may have seen some Prunus avium. “I am certain there are some Prunus ‘Kwanzan’ around as well: one little one by itself north of cricket pitches,” says Bill. Click here for a map to Stanley Park.